Different keys, harmonizations and styles will be accepted. Soloists, bands, choirs, etc. will be accepted. Prize money will only be for one video. The decision of the winner will be final and no correspondence will be entered into in regards to that. our fears are a proof of what we tend to be. Grant meaning to live for a reason. Help each heart to believe. reverb through the vastness of the universe. No darkness can last in His presence. with hearts hesitating by His holiness. A star is proclaiming His conquest. I remain secure and I can rely. upon lions is my tread. Jesus is for now and ever! how they fall and run away from me. and no stone can stop my dance! Improvisation on "O come, o come, Immanuel"
Make the rest in measure 141 as long as desired. Allow the sound of the climax to reverb for a moment. kom ons ook na Betlehem. 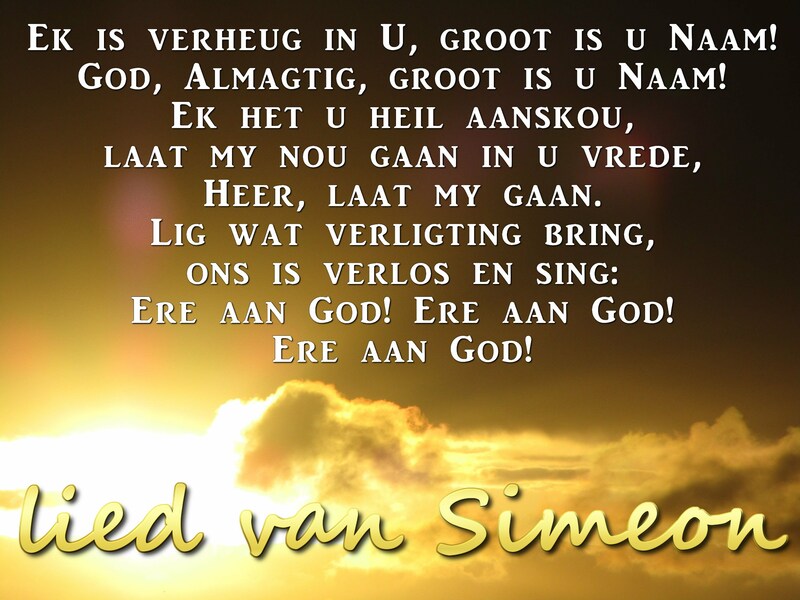 hierdie Kind het God se stem. hierdie Kind verlig die nag!